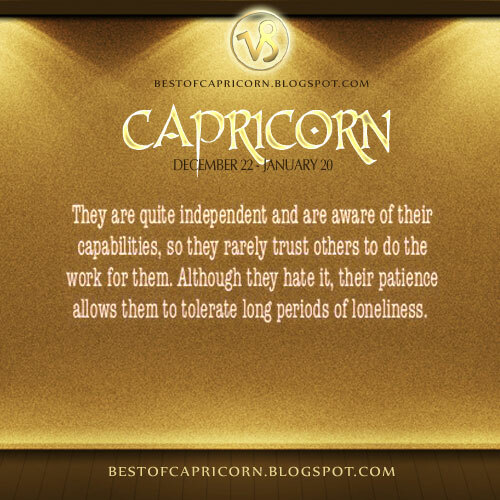 Independent Capricorn | Capricorn Life - Capricorns Rock! CAPRICORN: They are quite independent and are aware of their capabilities, so they rarely trust others to do the work for them. Although they hate it, their patience allows them to tolerate long periods of loneliness.